Fall is a great time for pumpkin lovers, as these little dishes show. Serving them in little glasses is a fantastic approach, because it lets people see the different layers, which helps to make them stand out. There are many different ways to make a dish like this, but highlighting the tastes of fall would end up being a key component of many similar recipes. Apple pie is such a wonderful thing for fall – but here's one variation on the theme. I like this one because it is simple to make and warm, plus you don't have to deal with the complexity of a crust. It makes a brilliant choice for breakfast. It's even a healthy option if you make it with Greek yogurt rather than cream. 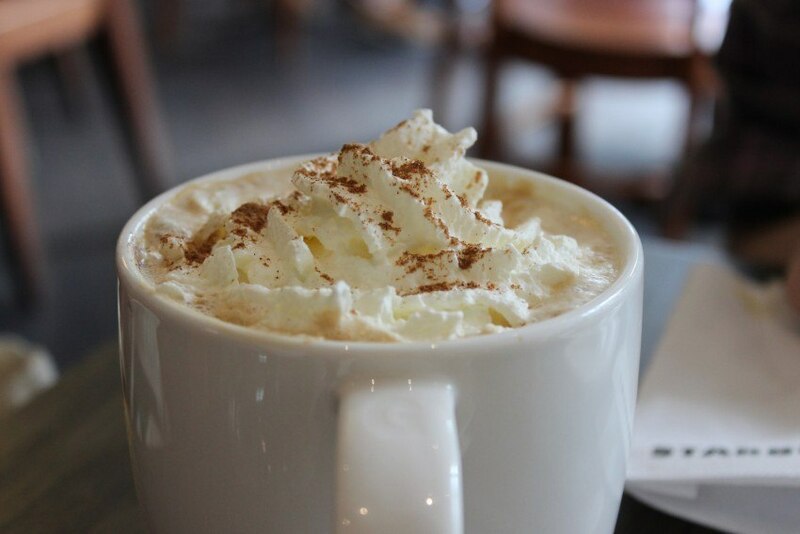 Like many people I always look forward to pumpkin spice lattes hitting the stores. Sure, I could make my own, but I love being able to go out and pick up a pumpkin spice latte from just about anywhere. Starbucks is still one of my favorites, but every year I make sure to try a few new places. Okay… so, you mightn't associate ice cream with fall, largely because it is fall. 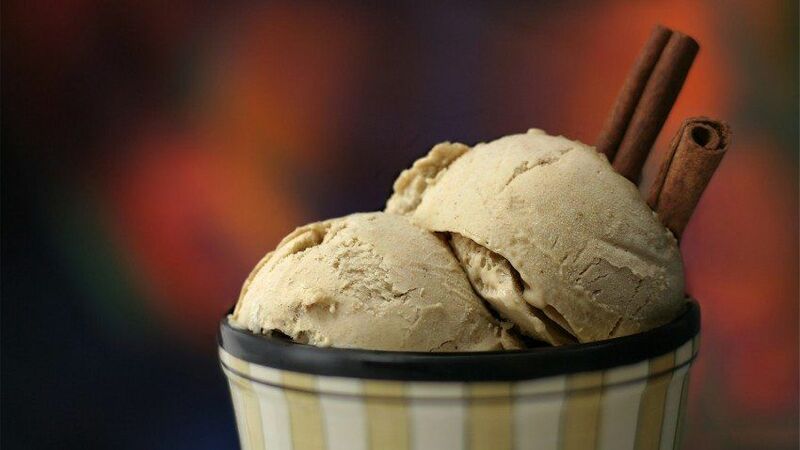 But, there's no denying that cinnamon ice cream really does have the characteristic taste of fall. Plus, it pairs beautifully with more traditional fall foods, like hot apple pie. 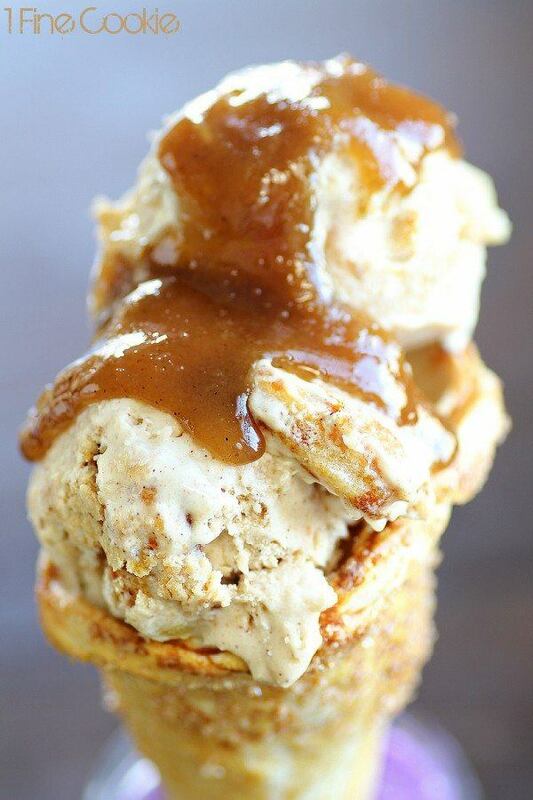 I love the idea of throwing fall flavors into ice cream, and this apple pie ice cream is another example. Fall ice cream is great for those days where it is cooler, but not all that cold yet. It's also just that little bit different. Most people focus on warm fall food, but cold food does still have its place – especially if you're in a warm room. Here's a more unusual example of a fall food, in this case a finger food. The fall flavors come from the use of roasted butternut squash – although that ingredient isn't all that obvious in the image. Finger foods are always fun, and this one uses a great combination of flavors. It also looks particularly professional. Pumpkin spice really does the rounds in fall, and here is yet another example. 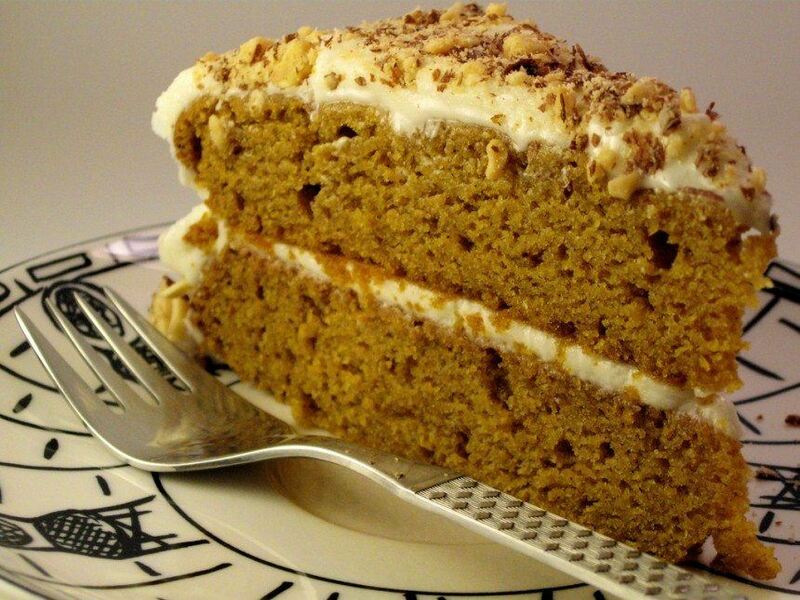 While different recipes for pumpkin spice cake might vary considerably in texture, appearance and taste, they do still maintain that distinctive pumpkin flavor. They are also great warm, especially straight after they were made. Candied apples always start turning up in the fall, especially as we get nearer to Halloween. If you're lucky, you will stumble across good versions of these apples, ones where is is actually possible to bite into it without feeling like you will break your teeth. Versions like the one in the image will tend to have a chewier coating, making eating the thing actually possible. This dessert has a more complex combination of fall flavors. First you have the apple and the cinnamon from the crumble part. Then, you have the vanilla flavor from the ice cream and the caramel from the topping. I love the way the ice cream will melt from the warmth of the rest of the dish – giving you a creamy melty mess if you eat too slowly. I love the colors in this cocktail – it really does look like fall. The cocktail itself is a gin and vermouth cocktail that uses fernet branca as well. It is a relatively uncommon cocktail, and it is a little bitter for some people. However, it is a great fall cocktail and many people find the taste quite appealing. If you're going to make anything from butternut squash, soup does seem to be the most popular choice. With the cooler temperatures of fall, soups are certainly an appealing, either as a side or as a meal in themselves. Even if you don't especially like soup – you have to admit, it really is a fall dish. 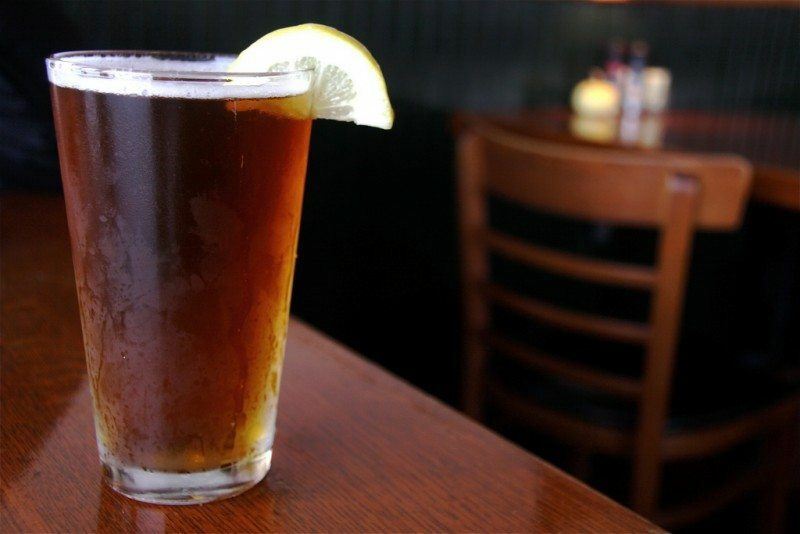 Around this time of year, you'll see a lot of companies produce fall lines of beer. Many of these are pumpkin flavored, but they vary considerably in how much they rely on other fall flavors, particularly the different spices. The best versions take advantage of the spices to create a depth of flavor. In contrast, the pumpkin becomes a background taste. However, you'll have to shop around to find a good fall beer, because there seem to be more bad ones than good ones out there. I like this seasonal variation on a classic risotto. For the most part, you could make this dish any time of year, but somehow it just seems more suitable in the fall. In this meal, the creaminess of butternut squash works really well with the rice, and helps to create a meal that looks and tastes great. I am a sucker for pretty food, and this looks gorgeous. 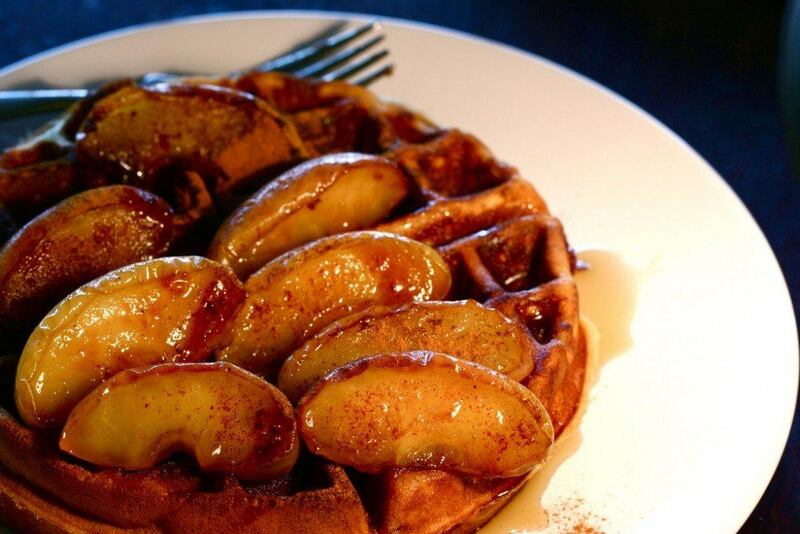 Admittedly, that's partly because of the good photography, as the dish itself is just caramelized apples on waffles, probably with a few spices thrown in. Despite that, this meal is exactly what I would like for breakfast in the fall – maybe not every day, but often. 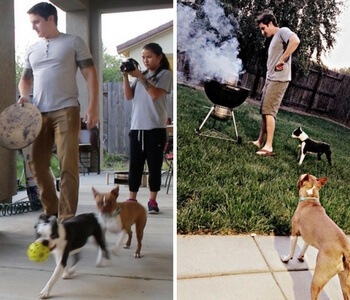 This is a really fun idea. 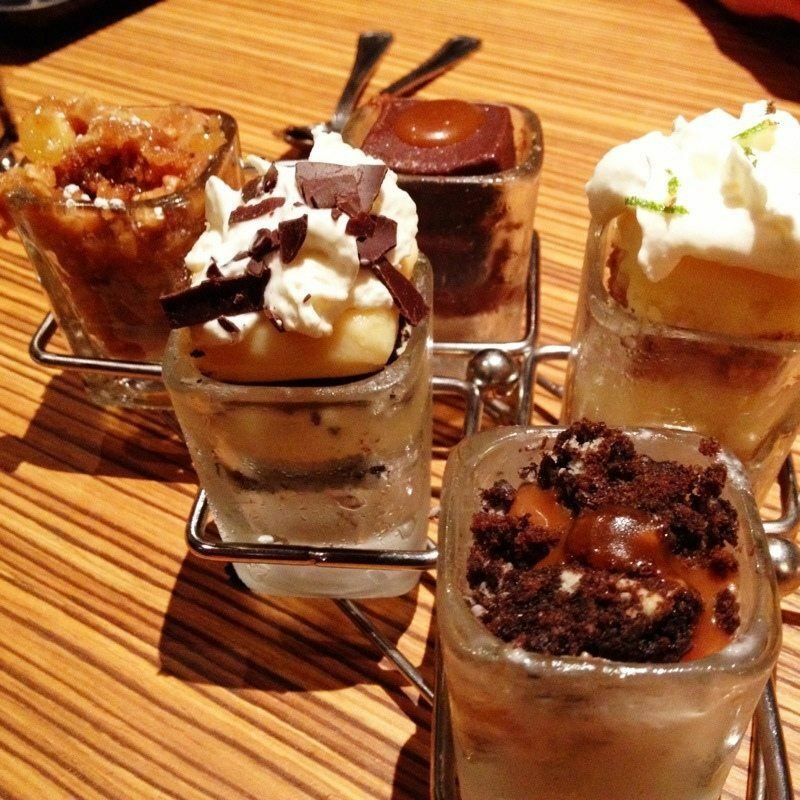 These aren't alcoholic shots, but mini desserts. 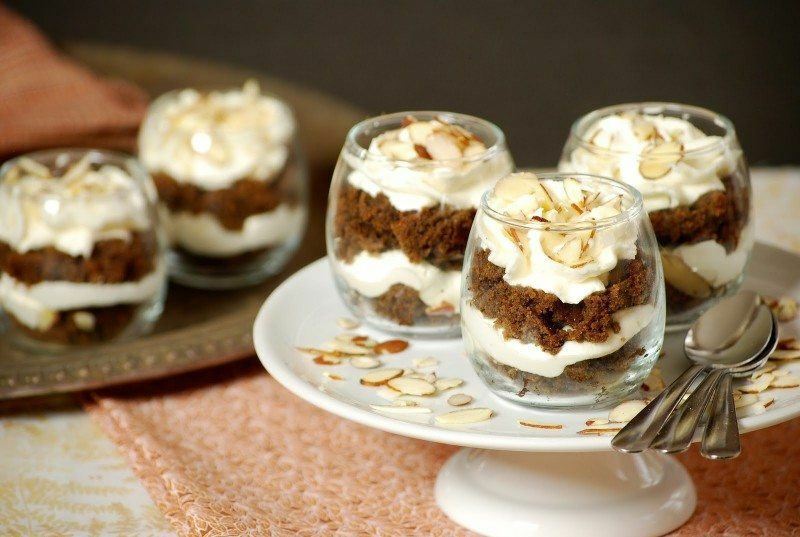 It's a really good way to serve rich desserts, especially if everyone is already full from the main course. 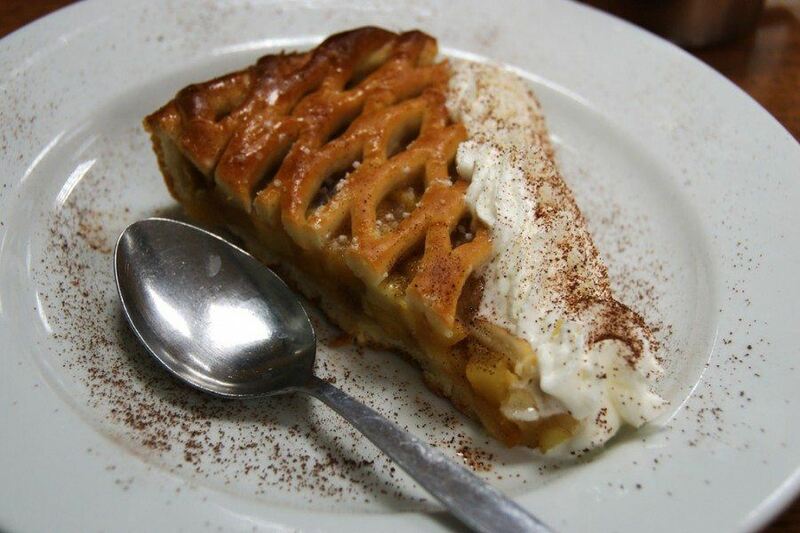 The approach would also work really well with many different fall dishes, including apple pie. It's also a great way to highlight different flavors and desserts. Plus, they are miniature works of art. 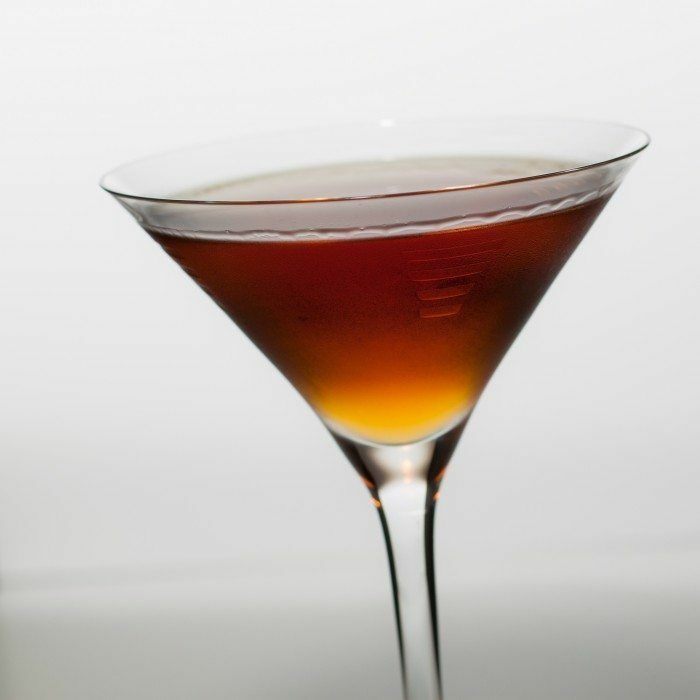 For the drinkers among us there are a number of different cocktails that are perfect for the fall weather. 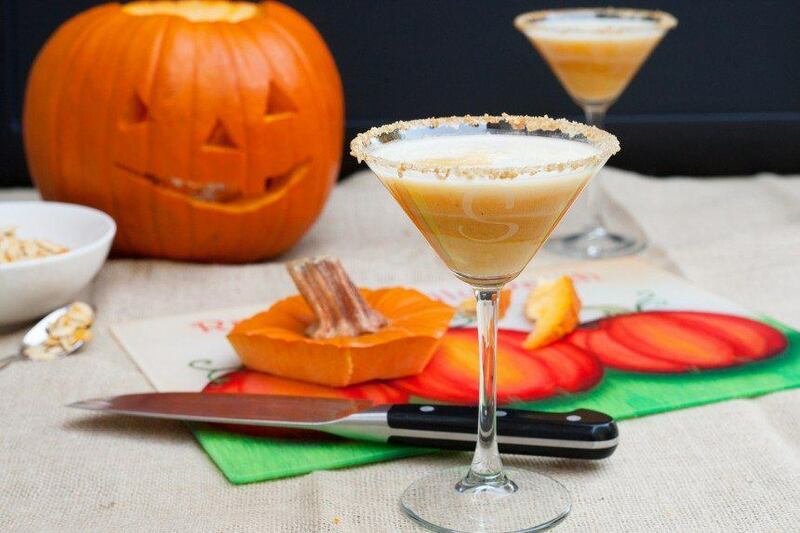 A pumpkin pie martini is one of the most famous examples. You can also find many flavored spirits around this time of year that can help you in making cocktails, such as pumpkin pie flavored vodka. Pumpkin spice might be the most common flavor in fall, but apple pie is probably the single-most frequent dish. It works well with just about anything, but I love it warm with cream or with ice cream. For most people, the best option is homemade apple pie. But, if that's not an option, there isn't any shortage of places to get apple pie from. 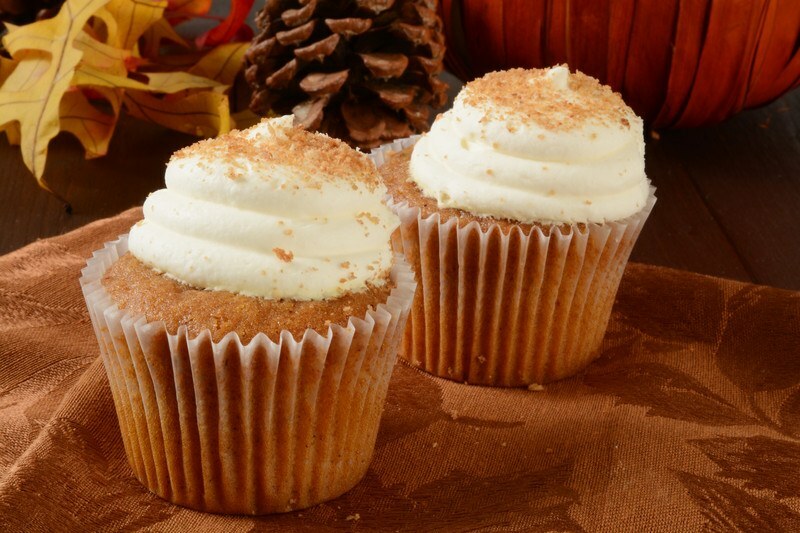 These make me drool and they are a great option because pumpkin cupcakes are pretty simple to make. They are also a great way to get that pumpkin flavor in a portable way. They can also be fun to decorate, especially around Halloween. Of course, they aren't the best option for anyone avoiding gluten. Nevertheless, there are always gluten free options and recipes out there if you do a little bit of digging. Here's a traditional one. 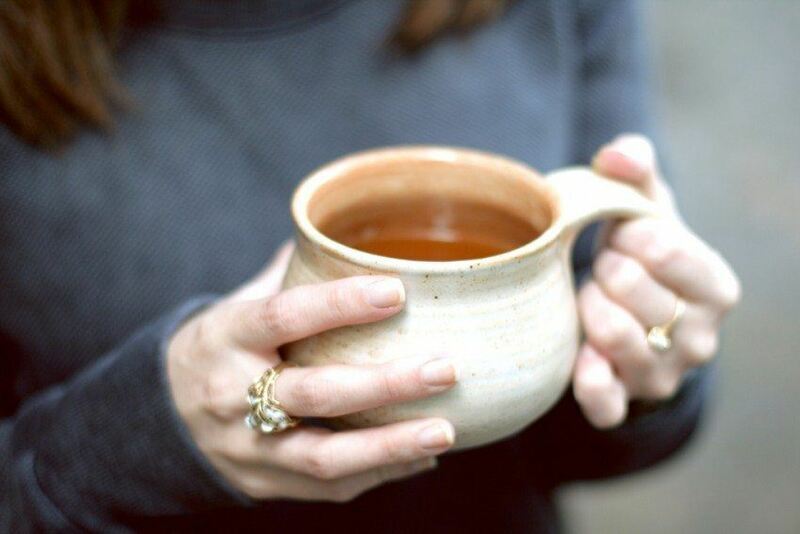 Hot apple cider is a wonderful drink, because it's one of the few hot drinks that just about everyone likes. You can also vary the drink in a lot of ways. One approach is to add spices to it, which gives it a much stronger fall taste. The drink also tastes especially good with a dash of bourbon added in, although that might not be something that everyone likes. The flavors of apple seem to get all of the attention in the fall, but why should they? Peach is another fruit that also strongly tastes like fall, especially when you use it in a dish like peach cobbler. With this dish, you end up with that same combination of fall flavors, including the various spices like cinnamon and nutmeg. Besides, it's always nice to have something that is just a little bit different. Here's an alternative use of squash for people who aren't as fussed on hot food in the fall. I love the way that butternut squash works in salads, because of its taste and its coloring. It stands out very well against the green of this salad, while its creaminess also works very well against the saltiness of the bacon and the sharpness of the onion. This is a dish I'd like to serve at a barbecue just because of the way its colors would really draw people's attention. 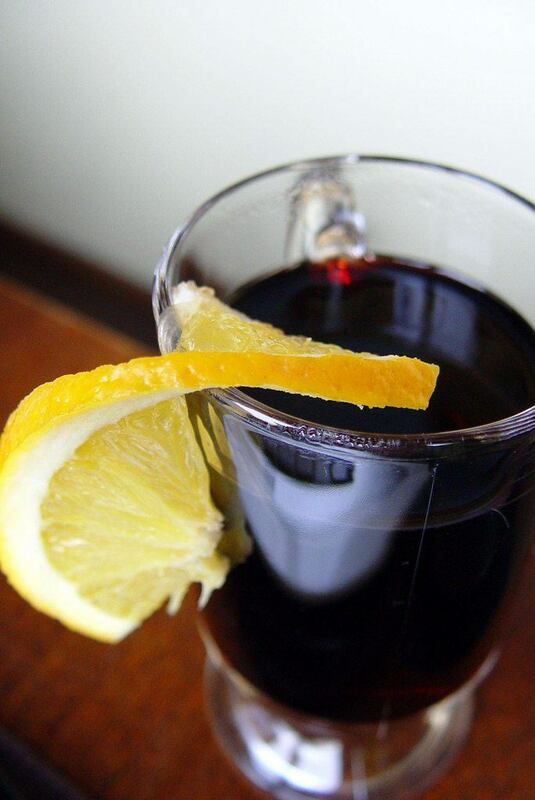 Mulled wine is really more of a winter drink, but it has the same spices and complexity of flavor that you find in fall. For those who haven't tried it, the drink is essentially wine that has been heated along with a number of different spices as well as sometimes raisins and citrus fruits. A non-alcoholic version is mulled apple cider or apple juice, which also has a very appealing complex taste. There are a lot of different options for homemade bread and loaf-type baking, but this is one interesting one. Essentially, it is pumpkin bread with pecans, cranberries and apples added, which sounds just like fall to me. Plus, there is always the option to tweak the recipe further to suit your own interests. It's actually worth remembering that many recipes that you normally make can be altered to make them a bit more fall-like, especially by adding in cinnamon or nutmeg. 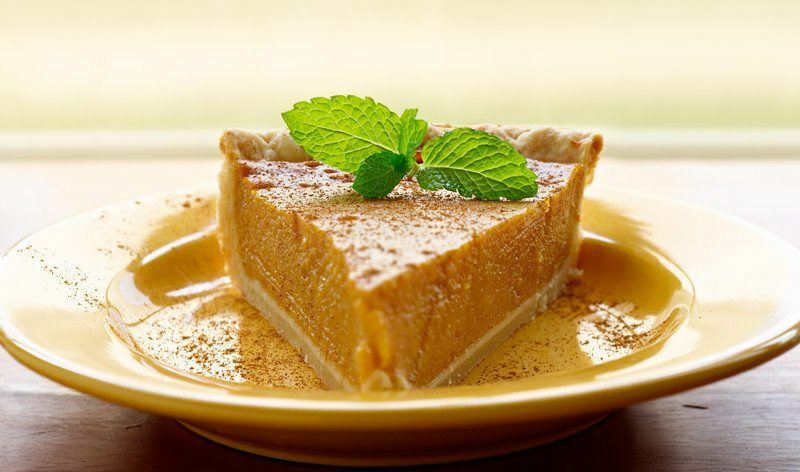 If pies are your thing, pumpkin pie is another great way to go. This type of pie can be made from the pumpkin itself or using pie filling if you want the easy way out. As any home cook will tell you, there is a big difference between pie made from pumpkin and pie made from the can. If you can, trying to make it yourself is certainly the way to go, if not, you may well know someone who is great at making pies. Pecan is another example of a great fall flavor. Personally, I prefer the little tarts, probably because of the pastry to filling ratio. 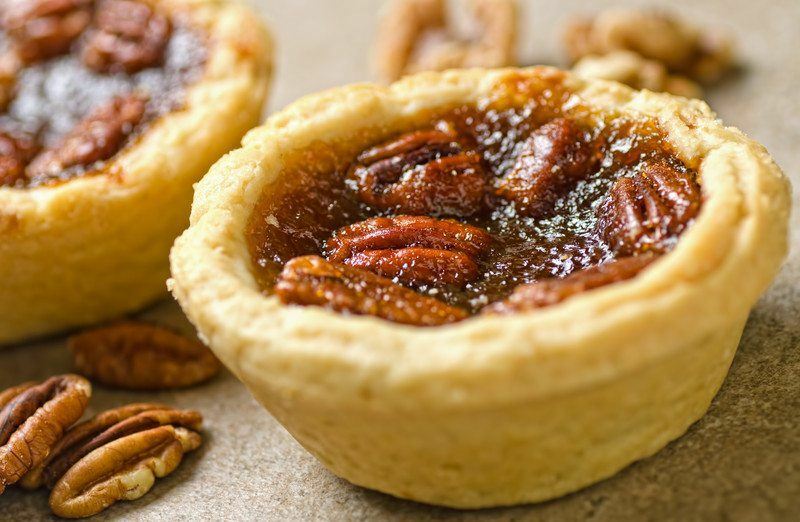 Flavor-wise, pecan tarts and pecan pies taste pretty similar to each other, largely just nuts and sugar. It is particularly great when made with some fall spices, and it is the perfect way to end a meal. This one is a little less common, but it is still a popular choice for fall. 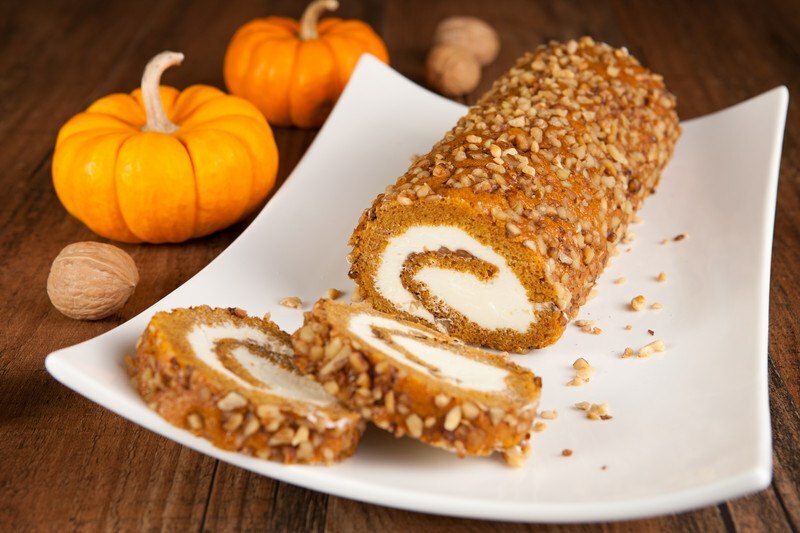 It is basically a thin pumpkin cake with a white and creamy filling, rolled up like a log. In some ways it is a little bit like sushi, although it does have more twists. 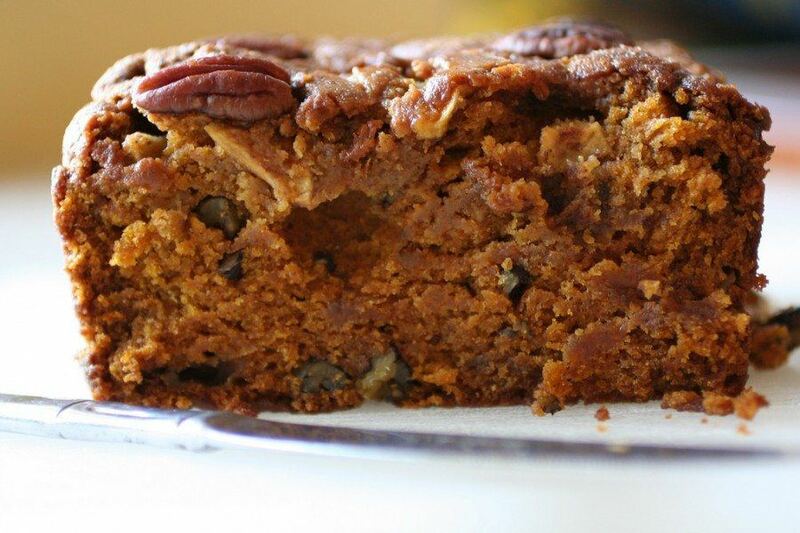 As with pumpkin pie, this can be made with canned pumpkin or with the real thing. While using actual pumpkin is better, canned pumpkin is a lot less effort, which is specially important if you don't have a lot of time this fall. Let's end with a simple one. 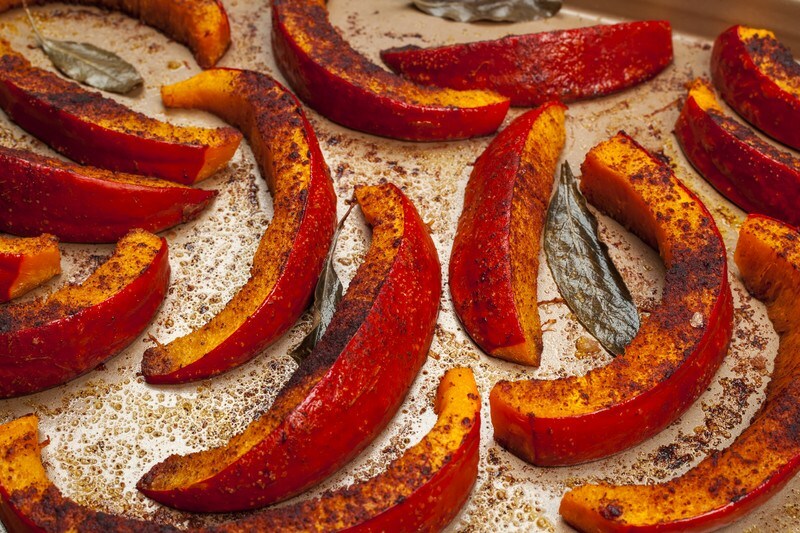 Pumpkin is one of the key flavors of fall, so roasted pumpkin just makes sense. It can be a surprisingly tasty treat when baked with a little oil and some seasonings. This one is only a good option for pumpkin lovers though – because you don't have many other flavors to deaden the intense pumpkin taste.